I'm really excited about this Atom series of chargers. I recently purchased the PowerPort PD 1 (18W) with the foldable plug, and it's been awesome to have it in my backpack for when I'm at work or elsewhere. I think that this one would be my main go-to portable charger due to its awesome itty-bitty size! Anker has always been in the forefront in technology so it is only natural for them to see an opportunity in the mobile world we live in. I travel on business throughout the year and find myself working from anywhere I may be at the time. It could be at the airport: on the plane: at the coffee house: at a restaurant or in the Hotel. Portable charging and portable charging devices are my bread and butter. I definitely will put this charger to the test of times! Congratulations on this very important new technology implementation! I’m gonna use it to charge my new iPhone XS fast!!! Guess who got lucky as hell! This guy! Not a transmission problem!!!! Not $1,200!! The axle shaft broke. I’m assuming it had damage the other ship didn’t find from the original accident. $50 part. Easy labor. Should have it back tomorrow aka Thursday or Friday! The USB3 port on my laptop doesn't work, so I would use this charger with my USB C to USB 3.O cord to charge my phone in a regular wall socket. No, I meant a USB 3.0 port. It looks like a USB 2.0 except that it is blue inside. Your USB 3.0 port is actually a USB-A connection high speed. 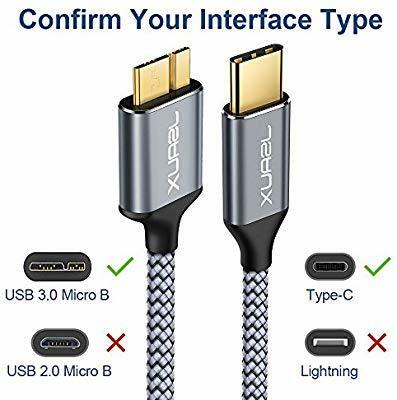 You would need a USB-C to USB-C cable and compatible phone in order to work.